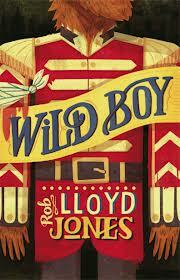 I have the great pleasure of being today's stop on the blog tour for Wild Boy by Rob Lloyd Jones. Wild Boy is one of those books that is instantly addictive and quite exciting. I rushed through reading Wild Boy and really fell in love with this great character. I'm absolutely thrilled with the below post because one of my absolute favourite things about this book was the setting of Victorian London! Rob Lloyd Jones talks a bit about the places that Wild Boy encounters during this book and I hope you enjoy it as much as I did. Thanks for having me on Fluttering Butterflies. I wanted to write something nice today but all I could think of were horrible things. You see, there’s nothing writers love more than horrible things, especially when they’re forced upon our heroes. 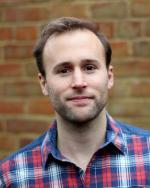 The hero of my new book – Wild Boy – faces more than his unfair share of unpleasantness. For starters, he’s a performer on a Victorian freak show (he’s been covered in hair since birth), which were very horrid places. Wild Boy’s framed for murder, though, he finds himself hunting the real killer across London, in places that are even worse. So I thought I’d tell you about a few of them, to bring a bit of darkness to your day. This part of London is known for the same thing today as it was in Wild Boy’s time – meat. Back then, though, meat wasn’t just sold in Smithfield. It came there alive – bleating and squawking through the narrow, twisting streets. Then it was killed. Imagine the noise! The shrieks of slaughtered beasts and the cries of market men. The scene changed once a year when Smithfield hosted the country’s biggest and rowdiest festival, Bartholomew Fair. The area was crammed with freak shows, sideshows, drinking tents and little stages. When Wild Boy reaches Smithfield, Bartholomew Fair is in full swing, and somewhere among the crowd lurks a killer. There were, unbelievably, places in London where the smell was even more troubling than the sewers. London’s population trebled during the first half of the 1800s. The more people lived there the more people died there. Parish churchyards became crowded and then overcrowded. Bodies were buried two, three, even four deep. The reek of rotting corpses grew unbearable. There are reports of zombie-like hands breaking through soil! Things got better in the 1840s, after new cemeteries were built beyond the city centre, but when Wild Boy’s search for the killer leads him to St Mary Somerset churchyard, the place still stank of its dead. Very intriguing post, I am quite eager to read the book now!